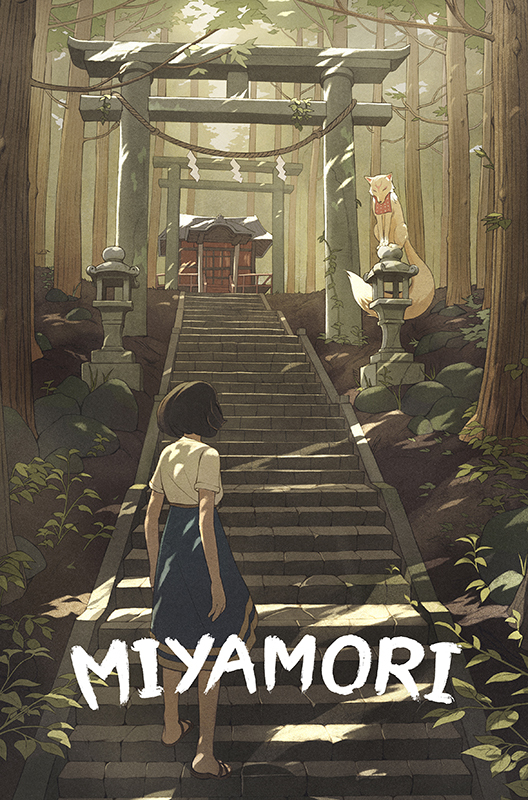 I've been working on a little project for the past few months called Miyamori. Now that it's far enough along, I can talk about it some more! 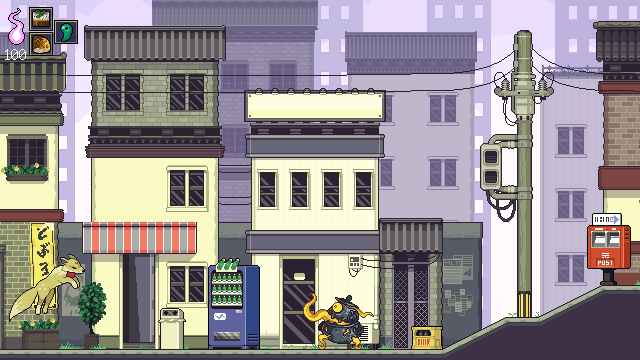 Miyamori is a 2D platformer game set in northern Japan. It's inspired by games like Yoshi's Island, Okami, Majora's Mask, and even a bit of Phoenix Wright. The game follows the adventures of Suzume and a kitsune named Izuna as they try to uncover the cause of a series of mysterious disappearances. 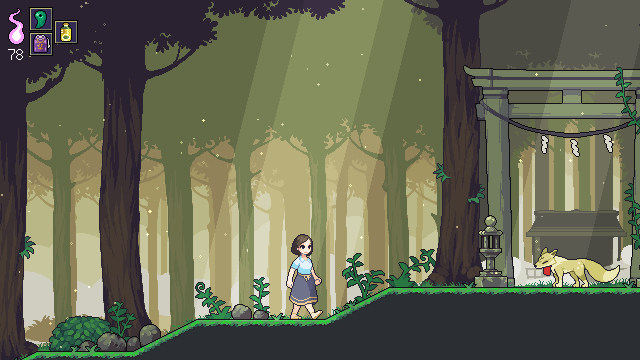 Gameplay alternates between action and adventure; while playing as Suzume you will explore your hometown and the forests & rice fields that surround it, to learn about the people who live there and hear their stories. This plays out like a mix of Phoenix Wright and the Bomber's Notebook from Majora's Mask; everyone you meet has a story, and there are a number of interconnected plot lines that converge as you help them or uncover more information. Also, characters and events follow certain schedules depending on the time of day, but there is less urgency regarding time than in Majora's Mask, for example. 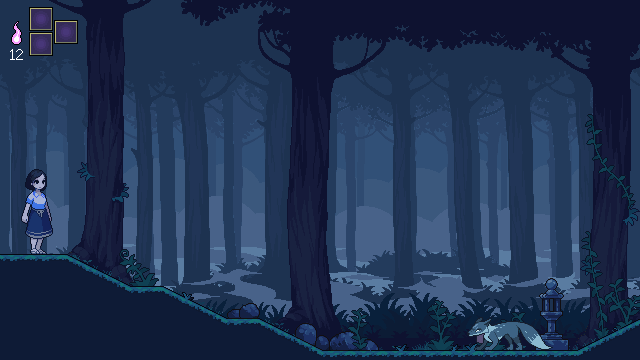 Izuna's sections involve more action-based platforming. Along with the mysterious disappearances, there have been rumors of people encountering yōkai. Izuna uses her fox fire to purify these strange and mischievous spirits, and can also use her powers of transformation to take on the form and abilities of the various yōkai. definitly post your kickstarter here when you're ready! This looks fantastic! Keep us updated! @Broojo02: We'll see about consoles! This is my first major release so I'll be starting with PC and likely Mac. If all goes well, then I might consider porting it to a console. Playing this on a 3DS would be kind of neat, I think. The story is mostly finalized, gameplay is coming along, and I've started on some of the soundtrack, but I'm still trying to nail down a style.